Numerous interesting events serve the local residents as well as tourists both in the city and its surroundings meaning that life in the municipality is never boring. Amongst these events are the Istrian Carnival, the Istrian marathon, the summer Rumena noč (Yellow night), Sladka Istra (Sweet Istria) - an international festival of sweets held in September, the Days of Slovenian Istrian Agriculture in October, and a number of other summer events in addition to various other cultural, sporting and culinary events. 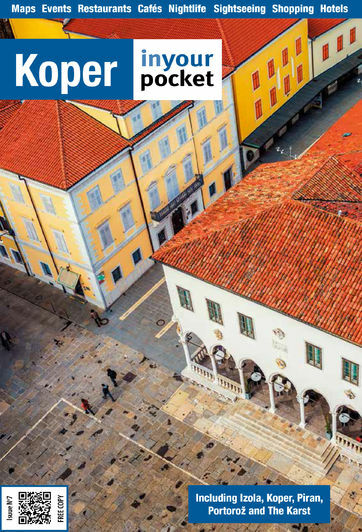 While, every year in May the municipality celebrates a special event – Koper In Your Hand, when local communities and tourist associations gather in the city centre to showcase attractions, traditions and gastronomic delights. In addition to a rich events calendar, Koper with its green surroundings and cultural heritage offers various active and authentic experiences. The municipality has a lot of interesting cycling and walking paths, natural climbing walls and protected natural areas.